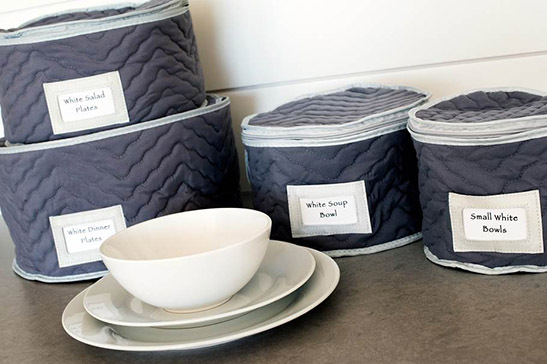 Our china Accessory Storage set is the perfect way to safely store and protect your delicate serving pieces. This six-piece set allows for individual storing of platters, bowls and misc. serving accessories. 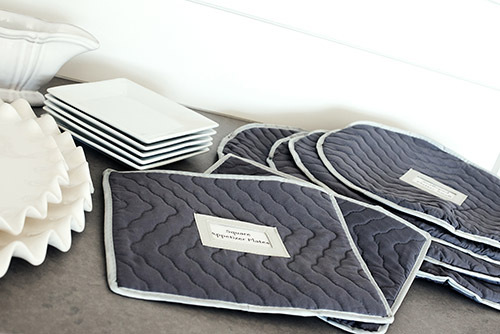 Each piece is protected by the microfiber case, which reduces the opportunity for chipping and scratching. 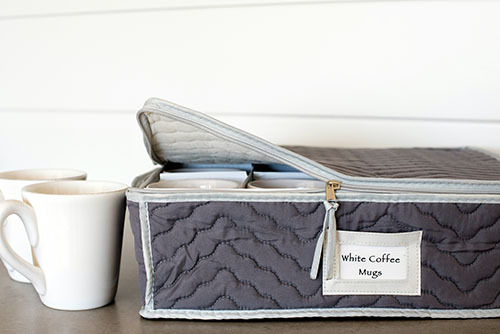 Each case features a label pouch making it easy to organize and identify your items. Chest wipes clean easily and features a self-correcting nylon zipper providing years of reliable use.